A customized facial designed to target your skins primary condition, whether it’s hydration, anti-aging, or deep-pore cleansing this will restore balance to your skin. Includes: cleanse, tone, one or two forms of exfoliation ; microdermabrasion with serum infusion or dermaplaning, enzyme/acid peel, extractions, mask with massage and ending with a blast of oxygen , infusing skin with 87 different minerals, vitamins A,E,&C amino acids and enzymes. Restore a healthy glow with our most popular facial. 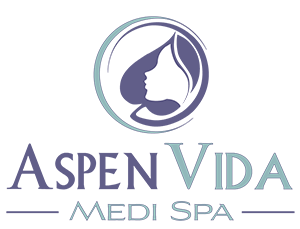 We will cleanse, tone, exfoliate with two of the following: microdermabrasion with serum infusion, dermaplaning, enzyme/acid peel, extractions, mask,massage, red LED light therapy, microcurrent, Oxygen Blast and a relaxing hand and foot treatment and scalp massage. A deep cleansing facial for your teen/pre- teen geared towards sensitive, acneic skin with an educational twist on the importance on a great skin care regimen. Includes extractions. This is a deep cleansing facial using products geared specifically for men. Includes; cleanse, tone, microdermabrasion, enzyme peel, extractions, mask with massage and of course oxygen blast. Microneedling of the skin creates invisible micro perforations to stimulate cells known as keratinocytes to increase production of new collagen and elastin through the release of growth factors and cytokines. Results are dramatically enhanced with the application of Pro Cells stem serum. Fine lines and wrinkles diminish over time, you will see great improvement in skin firmness and elasticity, thickness and tone. Also to include hydrating serum infusion and oxygen treatment with take home growth factor serum. It’s all about the machines in this one. Includes: Microdermabrasion/ Dermaplaning with serum infusions, Red light therapy to reduce wrinkles, Microcurrent to tighten and tone, Microneedling to plump and smooth a mask with massage for relaxation and oxygen blast to heal, hydrate and repair. Get ready for the compliments. The Co2 lift is a medical grade treatment from Japan designed for the face, eyes and neck. This treatment was created for the sole purpose of rejuvenating aging skin without the use of aggressive peels, lasers, injections or cosmetic surgery. It’s even gentle enough for the most sensitive skin areas around the eyes where most signs of aging occur. This Mask does wonders with our pain, downtime or discomfort. *Best done in a series. The Hydrafacial MD is a medical grade, facial resurfacing treatment that can be given in as little as 30 minutes. It promotes long-term skin health benefits and can be tailored to meet the specific needs of all skin types. This multi step treatment cleanses, evenly exfoliates and extracts to remove impurities and dead skin cells while simultaneously replenishing vital nutrients including Antioxidants. Peptides, and Hyaluronic acid. The Hydrafacial MD offers instant , noticeable results with no downtime or discomfort. CTGF – which contain growth factors to help smooth rough textured skin, reduce the appearance of fine lines, and bring skin back to its natural, youthful state. Britenol – Intensive spot corrector delivers potent ingredients such as Alpha- Arbutin and Vitamin C that were shown to reduce the appearance of dark spots and leave skin brighter with a more even complexion. Dermabuilder – Multi-peptide blend helps to improve the appearance of fine lines and wrinkles for smoother texture and younger looking skin. These are customized peels to address your particular skin issues, whether it’s Melasma, Discoloration from sun, Acne or dryness and aging skin your aesthetician will apply the correct peel just for you. These peels have been formulated to have very little downtime , so you don’t need to stay in hiding. This treatment also includes take- home products to use during the peel. This treatment is for those with dry, sun-damaged , crepey skin! You will see and feel soft, smooth skin again. Can only be done on 25% of the body at a time (ie. chest,neck and arms or legs or back).